Self wound red polyethylene film with removable adhesive. 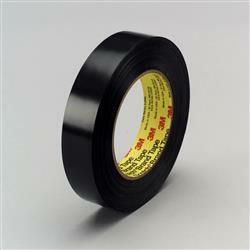 This tape removes cleanly from most surfaces and hand tearable. Designed for stucco masking. Jaco Aerospace and Industrial is your one stop resource for 3M(TM) 5 mil Red Polyethylene Film Tape 283R, 4 mil red PE film, 1.1 mils removable acrylic adhesive, (Venture1499) and all of your 3M Products, Tapes, aerospace and industrial needs.